A terrific visual aid for learning fractions! Snap cubes together and see fraction concepts come together right before your eyes. 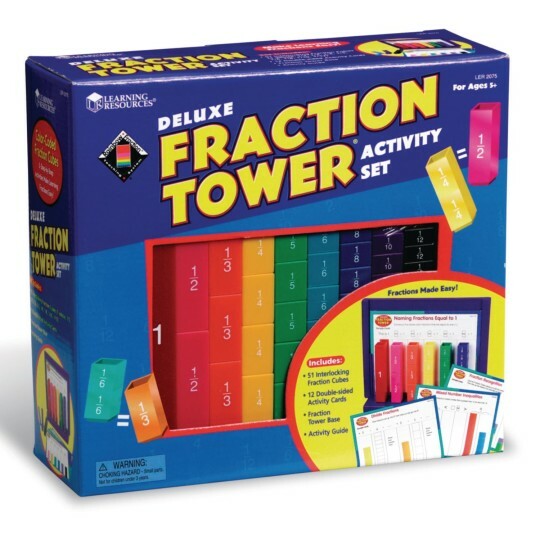 This unique set helps children visualize and understand math concepts with interesting, hands-on activities. Color-coded cubes snap together and sit in the base as kids add, subtract and compare. 51 pieces.